This is somewhat strange but rather interesting trick that a friend of mine has dug out. It allows you to book first class airline tickets at coach prices. What you need to do is just look for a special type of fare called YUPP, QUPP or Z. Never heard of it before? Neither did I but 10news.com claims that this is a sure way to save hundreds of dollars on a first class ticket. Ask a booking agent on the phone specifically for a YUPP, or if you buy online, all you have to do is search for a first-class seat. If a YUPP is available, the fare will automatically show up as the lowest rate. You can confirm that by checking the fare class. Flying first class is not something a price cautious traveler usually has in mind but hey, why not if the price is the same as coach!? If this long list of online tools targeted at enhancing your airfare bargain hunting doesn’t make your head spin, here is another one that launched just last week. Yapta is a free service which will help you track price changes on airline tickets you purchase through a few booking agencies and airlines websites. This can be useful in two cases. You are planning a trip and looking at a particular flight. If you don’t buy your tickets the very last day, like I usually do, then you should have some time for bargain hunting. If you truly want to get the best deal then you should be looking at several alternative flights. This is where Yapta comes at hand. Enter the fight details into your Yapta account manually or using the tagging plugin and Yapta will notify you when the price goes down. You have purchased your tickets already and want to know about a price decrease so you can claim a voucher or a cash refund from the airline. This only works when you buy your tickets directly from the airline websites and if that airline guarantees the price (an increasingly rare case these days). To accomplish this, enter your itinerary details into Yapta account and the service will notify you if the airlines reduces price on that flight. When I first heard about Yapta, I immediately thought of PriceProtectr and other similar services that track prices on things you buy from retail merchants, places like Amazon, BestBuy, or CircuitCity. This is the first time however I see anyone implement a price tracking tool for airline tickets. Due to the novelty I expect a lot of media coverage around Yapta. I wonder if general shoppers will adopt the new service as well. While in general this is an interesting concept, I can see a few disadvantages to using Yapta. First, prices don’t always go down. In fact, with gasoline prices climbing up, ticket prices probably go up more often than they go down. Second, when I plan a trip, I am not usually very flexible with dates and there are quite a few things for me to worry about besides getting the lowest price on that ticket. It is nothing like buying another gadget or an upgrade to my PC, the things I can postpone indefinitely. I often got to get that plane ticket no matter what or my wife and I will have to renegotiate our vacation plans all over again. This pretty much eliminates Yapta as a bargain hunting tool for me. The other way to use Yapta by tracking price changes on tickets you have bought implies you were using an airline website for your purchase which can also be problematic. Considering myself a frugal shopper I still cannot recall when I last time used an airline website for buying tickets. Using booking agencies is so much more convenient especially when you need to buy a package, a hotel and a ticket together. This is an impressive list however it totally lacks foreign representation. I wish some of South American and European companies were there since a good share of my travel is international. The last wish in my list would be to extend the tracking capabilities to any flight satisfying certain criteria, and not just specific one that I pick. For example I wish I could set my flight dates and airline preferences, have the tool do the searching, and alert me to an offer when one is available at the price I like. Now I know FareCompare is attempting to do just that but their alerts appear to be too broad for me while Yapta alerts are to restrictive. Am I wishing too much? I don’t do a lot of air travel but when I happen to go somewhere I try to use the most out of what I know about the travel industry and the online tools that have grown around it to get the best savings on my airfare. Unfortunately there is no single source for the cheapest airline tickets because a lot of factors affect the price. The ticket pricing depends on your departure/destination airport, airline, and time of travel and there is no single tool that will show you the complete picture. 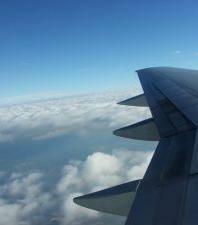 But before I get to the tools part let me first list some general tips that apply when you want to save on air tickets. Be flexible with dates — plus/minus one day can make a huge difference with air travel. Once I saved around $200 on a ticket to Europe by moving the departure date from June 1 to May 31. Research nearby airports — many services provide an option which will enable you to include into your search the nearby airports around your departure/destination point. This may help you reduce the price. Below are the online tools to help you find the best ticket price grouped by category. Each category is different and serves its own distinctive purpose. These will search for the best price and then redirect you to the booking agency or airline website to buy the ticket. Search engines are free to use and make money from advertisement. Sometimes the listed price will not be up to date since search engines often cache prices to speed up search. Use them to get an estimate and don’t be surprised if the price at checkout will end up slightly higher. Orbitz — I have had the best experience with this company, their customer support actually answers phone calls. ;-) They claim to search 455 airlines. Expedia — The largest and most popular booking agency according to Alexa ranking. Their airlines selection looks impressive as well. Priceline — better known for their “Name Your Own Price” functionality available with hotels (read about it here). You will get the most current information if you go to the airline website directly. Buying from the airline removes an extra piece in the ticket sale transaction chain which is always a good thing if you want to minimize the chance of an error with booking. Besides some airlines don’t list tickets with the agencies at all and if you want to have the complete picture you have to check these directly. Discuss travel deals and get tips from other travelers like you. Last but not the least. These websites are operated by people who are professional bargain hunters in travel industry. If you travel a lot subscribing to their newsletter for hot travel deals delivered to your mailbox might be a good idea.